Dave Sarachan's current run as the caretaker of the U.S. men's national team ends on Saturday night when the USA faces France at the Groupama Stadium in the Lyon suburb of Decines. Sarachan, who turned 64 on Thursday when Soccer America talked with him at the U.S. team hotel in Lyon, has had two stints with the national team, working as a assistant alongside fellow Cornell alumnus Bruce Arena. The USA went to the World Cup in 2002, where it reached the quarterfinals in South Korea, its best performance in 72 years, but it failed to qualify for the 2018 World Cup in Russia. Arena resigned three days later, while Sarachan has stayed on to work with the team that has begun rebuilding. As the World Cup approaches, a lot has been written about the 2-1 loss to Trinidad & Tobago last October, much of it accurate, says Sarachan. But for the coaches and players who were part of the team that didn't get the job done, a cloud hangs over their heads and won't go away soon. Sarachan feels strongly he still has a role to play in the national team program under new national team general manager Earnie Stewart, whose hiring was confirmed on Wednesday. Have you talked with Earnie Stewart? Earnie gave me a call, told me I was the first one he called after the press conference, just to say hello. He called with the idea of wanting to have a conversation, a conversation with the group that is here in France, our staff and our players. We are going to have it arranged [on Friday]. And once this trip is over, I am sure we are going to sit down and talk more. Stewart was a member of the 2002 World Cup team on which you served as an assistant coach. He made a big impression on me during that World Cup in terms of the whole package, his competing, his being into it, his loving playing for his country, being a leader. He was part of some games where he didn't start but he still behind the scenes made sure the group was doing everything it could do to win. Stewart was one of several holdovers from the 1994 and 1998 World Cup teams, like Joe-Max Moore and Cobi Jones, who went to Korea in 2002 and accepted part-time roles. For me, it's the template of how teams can be successful with the right blend, the right leadership, the right veteran presence, the right rookies that are willing to learn. All of those guys were a big part of it. Most of the time they didn't play but they embraced their roles. If Earnie asked you if you were interested in the national team job or any other job, what would you say? What I would say to Earnie is I think they would be smart keeping me in a role. I think over the years we have had guys who could have offered something and for whatever reason weren't kept on or included. There's always that outside chatter of we need new blood. I am the first one to agree in some cases. But we need an experienced head that has been around, whether senior coach, Olympic coach. I feel very strongly that I have been at this so long I want it see it get back on track. I think I still have gas in the tank. The USA plays France on Saturday night. Les Bleus are of a different world from the national teams you have faced in 2018, let alone most other national teams. How do you prepare your young players for the game? My approach is pretty simple. It's the same as it was when I started after Trinidad with Portugal, which -- not that the rankings mean everything -- was third in the FIFA rankings -- of course, they were missing some players. When you step on the field, you need to play with confidence, have no fear and understand that you're going up against an opponent that will punish you for mistakes. We learned that against Ireland -- fair result would have been 1-1 -- but we fell asleep, got a little lazy and lost sight of some of the details to close out a match. All of these games are a phenomenal learning experience for his group of young players. Most of the players you called in would have otherwise been on vacation and about to return to clubs where their situation for the 2018-19 season is in limbo. How hard has it been to keep them focused for the last 2-3 weeks? The common denominator is we're the national team. And the players who are here, for the most part, understand that when they are here they have to put everything else aside, whether it's vacation, personal issues. To their credit, they have come in and embraced what we have established in this group in a very short period of time. How does this generation of young players compare to others you have watched come along during your career with the national team and in MLS? Times have changed. We have a number of guys now who have begun to mature earlier than in the past by getting out on their own in Europe or Mexico. With a bigger pool of players, there have been more opportunities. At the same time, sometimes this generation gets a little bit of a sense of entitlement because they were able to do that. So it's a balancing act. Certainly, the players we have now have lots more soccer experiences. While players like Christian Pulisic, Weston McKennie and Tim Weah are coming through in unprecedented fashion at big European clubs, a lot of MLS teams seem reluctant to give young Americans a chance. I am worried about it. I have been around Major League Soccer since just about the beginning -- I joined the league in 1998 but I was part of the combine in 1996 -- and there have been so many boxes than have been checked. Whether it's growth of the league, expansion, infrastructure, facilities, There is no denying that. However, I am concerned that with the institution of some of the new [spending] resources, the American player is sort of getting short-changed now. Panama, Costa Rica, Honduras have been getting a lot better, and our league has been helping that. That's fair enough. But we can't lose sight of the fact that the metrics don't add up. The number of Americans playing has dwindled. That is a big concern and has to be addressed by U.S. Soccer and Major League Soccer. There has to be some cooperation. The LA Galaxy, where you worked for eight-plus years, was the first MLS club to sign a Homegrown player and the first to add a USL team yet it is playing few young Americans. There's a lot of pressure on a team win, as there should be. The Galaxy tried to utilize a number of young players after Bruce and I left and Curt Onalfo took over, and they weren't ready. So they reverted back to going with more experienced players. We have to have good standards and accountability, hiring the best personnel, having the best facilities -- and giving players a chance. Each club has to develop a good eye to see that this kid isn't ready, but that kid is ready. And have the guts to say, "This kid is 18 or 19 but he is ready and we'll live and die with it because in the long run we'll be better." When you watch French television, it is hard to escape the fact that the start of the World Cup is just around the country. How hard is it to think that in different circumstances you'd be about to head off to Russia? It comes and goes. This role, this trip has isolated me a little bit. Maybe consciously or subconsciously but professionally I've dived into what I have been doing. I can't ignore it but it's there. And when I am on a plane back home on Sunday, the next month is going to be tough. That part will never go away but I am also a guy who really feels like you must learn and benefit from everything that's gone on. What are you going to do for the next month? I am going to spend some time with my family. I am going watch the World Cup because it is the sport I have known my whole life. I am not just going to the garden and plant some tomatoes. 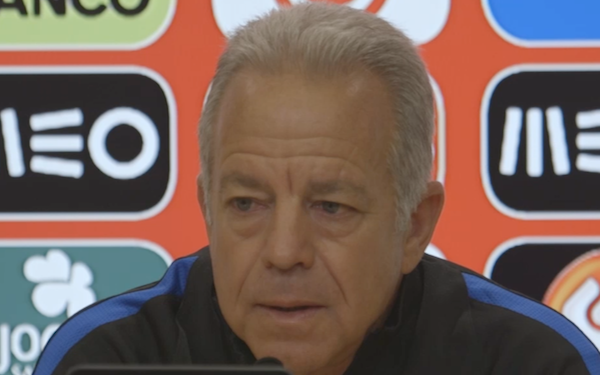 7 comments about "Dave Sarachan: 'The next month is going to be tough'". beautiful game, June 8, 2018 at 9:37 a.m.
'The next month is going to be tough' opined coach Sarachan. It should be tough, so you and your staff can get a clear picture of who has the metal or not. When its gets tough, the tough get going. Bob Ashpole replied, June 8, 2018 at 12:39 p.m. I took it to mean that watching the world cup instead of competing was going to be tough. frank schoon, June 8, 2018 at 9:52 a.m.
Bob Ashpole replied, June 8, 2018 at 12:41 p.m.
Don't hold your breath waiting for the new coach. Stewart doesn't start the new job until 1 August. frank schoon replied, June 8, 2018 at 3:15 p.m.
Craig Cummings, June 9, 2018 at 10:17 p.m.
WE have 2 years before an important game. we have time for a new coach. Craig Cummings, June 11, 2018 at 10:13 p.m.